Knit Whimsy: Sock It To Me! It’s a sock! It’s a sock! With the way the weather looks this morning (that is, dark and stormy), I should be able to get a good bit of the mate to my Athos sock done today. I’m gifting this pair, but I already have my next three sock projects lined up. 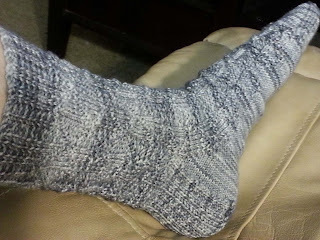 I have come to think that every knitter should have socks on their needles at all times, don’t you? 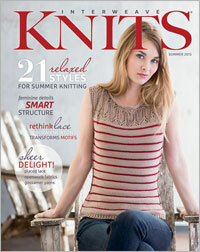 Was very excited to get the new Interweave Knits Summer 2013 magazine yesterday. Summer patterns are just my thing since we live in the Deep South and I’m anxious to add a few things to my summer wardrobe.